We spent the day walking and shopping all over the city of Toronto, from the downtown core all the way through to Parkdale. With tired feet and hungry stomachs, we walked just a couple blocks more to wait in line at Grand Electric. Arriving only two minutes before opening at 6 pm, a huge line had already amassed outside its wooden doors. A good thirty to forty people had gathered in anticipation of being among the first to be seated that Saturday night. We were hopeful but dubious as to whether or not we would get in on the first round. As soon as we reached the door, the hostess asked us if we preferred indoor or outdoor seating. Regardless of the heat, the day was just too beautiful to not take advantage. So we sat outside on the patio – which was, by the way, huge! A marquee hung up top, boasting the menu items in big block letters. The seating system is more communal than anything, benches fitting up to six people perhaps meant to enable conversation and chance encounters. Elbow to elbow with strangers, most proved to be friendly and accommodating. Starting off with a couple of cocktails to beat the heat, we had the Grand Electric Sour, the Mojito and the Bourbonade. 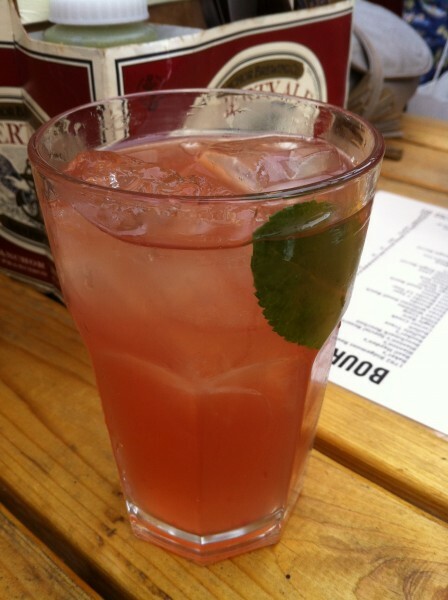 Not only a great refresher, but a much needed pick me up after a long day in the sun. You know what I’m talking about ;). 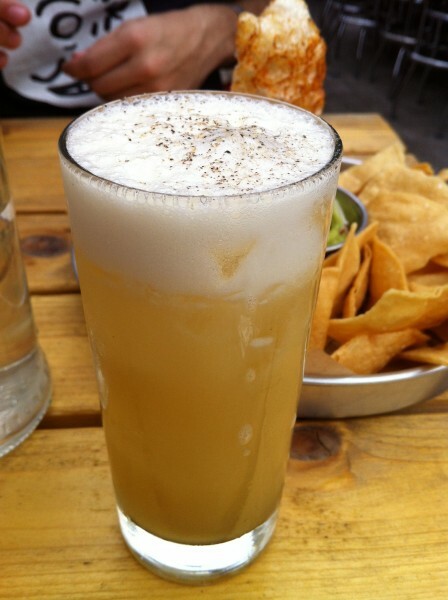 My favourite was the Grand Electric Sour – made with vanilla bourbon, agave syrup and some egg whites for the froth on top because it had a distinctly sweet and summery flavor. 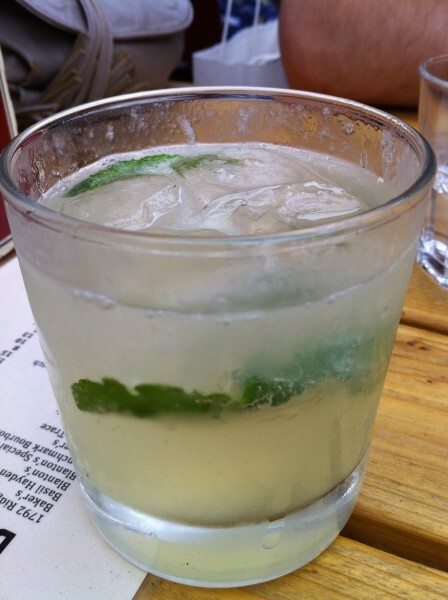 The other two were great renditions of the classic cocktails we’ve all come to know (and love). First came the guacamole and chips. Crispy chips surrounded a tin bowl of soft, creamy and chunky avocado dip. What was pleasantly surprising was that this wasn’t the end of the dish. Another small bowl filled with an alternative spicy salsa sauce came along too. 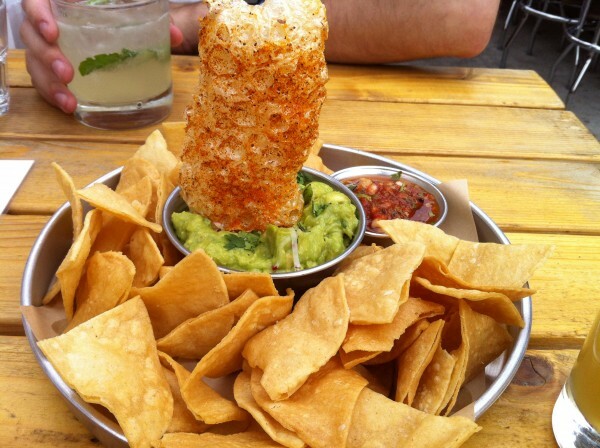 Then of course, there was the big hunk of pork rind stuck in the middle of the guac. Oh yes they did. This one was one of our two most loved dishes of the evening. 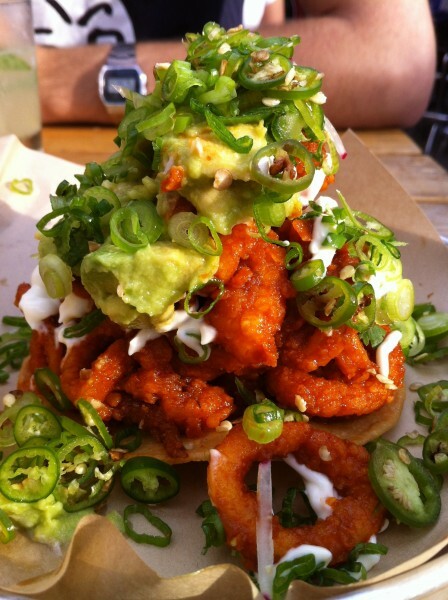 The spicy squid came to us in a conical pile, topped with a handful of avocados, thinly sliced shallots and green chilis. Saucy, tenderly chewy and hot, these were devoured in literally seconds. And let me tell you, the dishes come to you almost as fast as you eat them. Our meal was already going by quicker than we wanted, only because we wanted to stay forever. 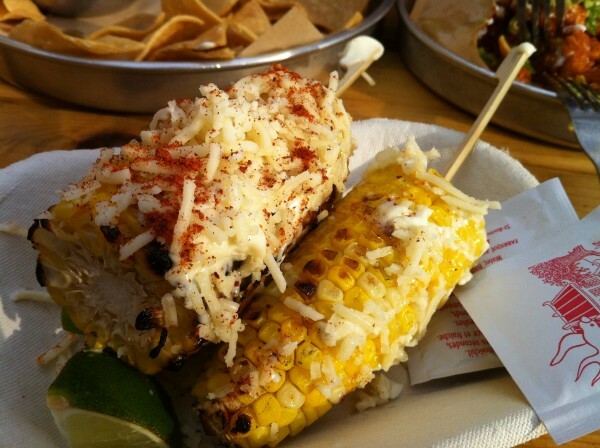 The grilled corn was topped with cheese, paprika and some sour cream/mayo that was pretty unbeatable. Charred just a little, the thing was fresh off the grill and piping hot when it was served to us. Nothing says summer more than a cob of sweet yellow corn. 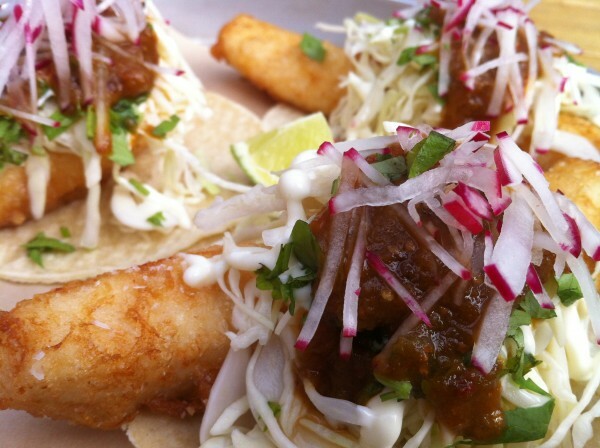 The three of us had a craving for fish, so we all ordered the baja fish taco. We couldn’t have made a better choice – this was the second of our most loved dishes that night. The fish was well cooked, falling gently apart upon biting into the taco. It played well with the slaw, chopped radish and the lime drizzled on top. Yeah, it’s a little messy to eat, but whatever. I say just put it your mouth however you can and enjoy it. Sauce on the table/my face/my shirt? NBD. 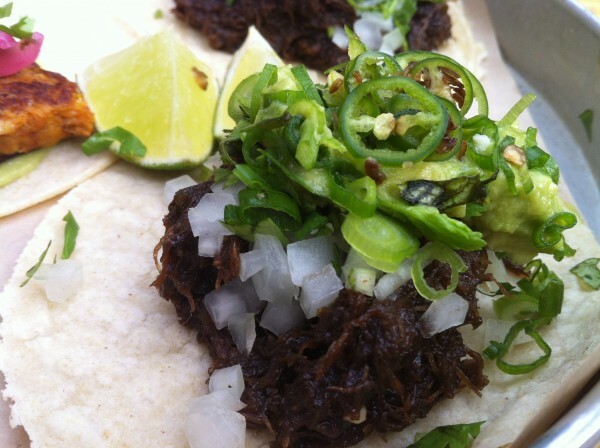 Same thing goes for the beef cheek and the pig tail tacos. I mean, look at this. I love everything about this – the composition, the coloring and of course, the taste of the dish itself. 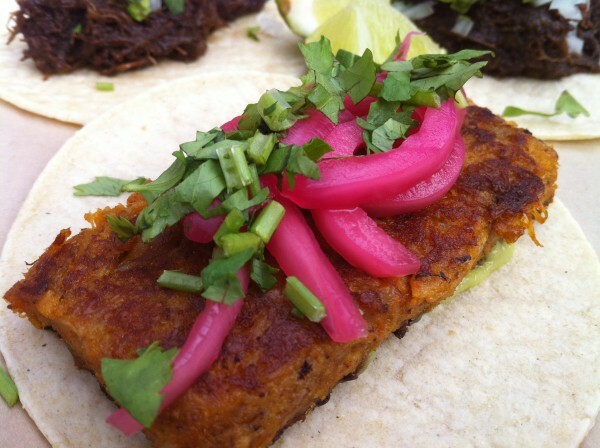 Don’t tell me that the visual doesn’t get you excited – the bright pop of pink on toasty brown meat, the lime green wedge in the corner and the whiteness of the tortilla to balance it all out… So pretty. The pig tail itself was a juicy piece – not sure how they cut it but it came to us flat. I guess I’m used to thinking pigs have curly tails… In any case, it was delicious. 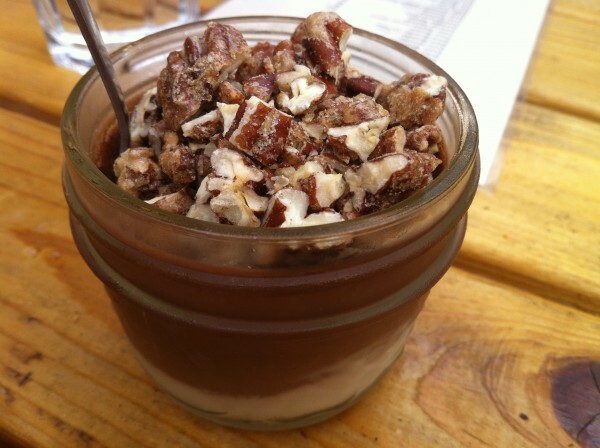 We couldn’t leave without trying some of their desserts so we helped ourselves to the key lime pie and the chocolate pecan pie served in these cute little mason jars. 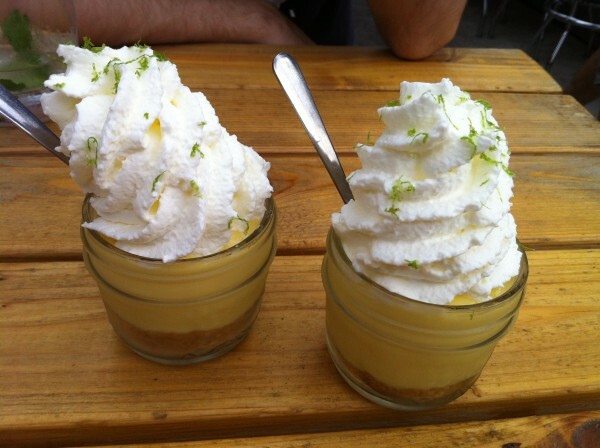 The whipped cream on the key lime towered precariously above and over the dessert and proved to be a test of maneuvering in order to get a bite of that and the pie underneath all without tipping it over. I could have done with a little less whipped cream, but otherwise, this dessert was golden. And just when you think you can’t eat anymore, you can. Okay so, if you can’t tell… I cannot wait to go back. 1. We waited a total of about ten-fifteen minutes, from waiting in line to being seated. 2. I have to say that the prices were very reasonable. Splitting the bill three ways, it came up to around $35 per person, including tip. Can you believe? 3. Service was timely. 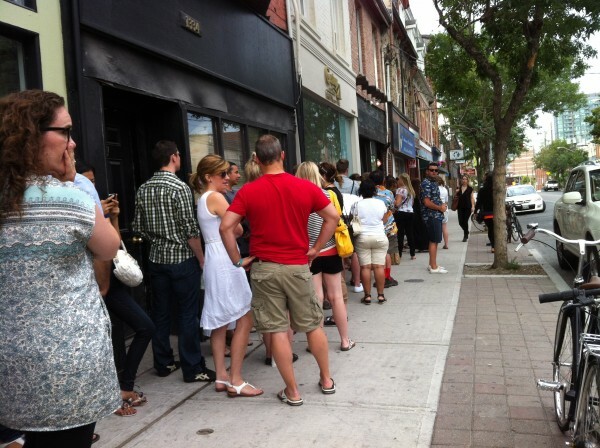 We could only imagine the line that was waiting outside, just itching to take our spots. But, once we sat down, it was out of sight and out of mind. 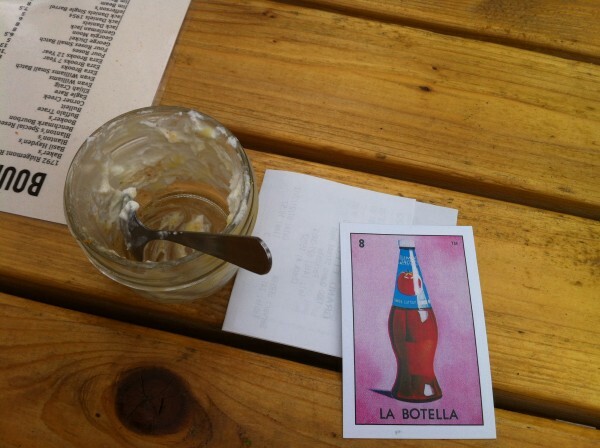 The service was neither rushed nor slow – in other words… it was pretty perfect. Ex Black Hoof-ers Colin Tooke and Ian McGrenaghan couldn’t have picked a better staff to help them run the show. 4. As we shopped on Queen West and Ossington we found some good vintage and designer clothing at Jonathan and Olivia and I Miss You. A friend even got an Acne sweater for $80. Total steal, right!? This little paragraph is unrelated to food, I know – but I had to mention it. If you’re visiting and you’re into that sort of thing, ya gotta check those places out. 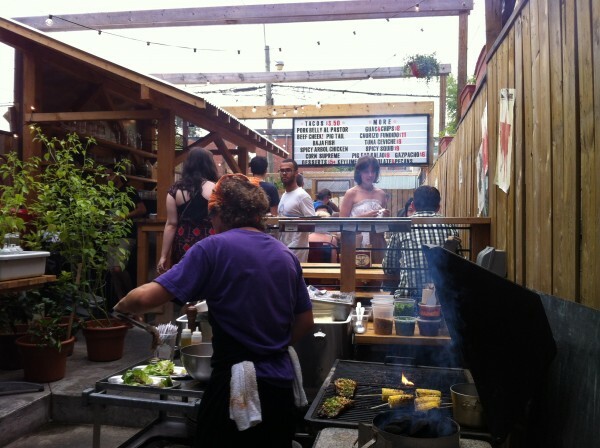 Tags: Baja Fish, Beef Cheek, Bourbanade, Chips, Chocolate Pecan Pie, Dinner, forkandtell, Grand Electric, Grand Electric Sour, Grilled Corn, Guacamole, Key Lime Pie, Lemonade, Mint, Mojito, Pig Tail, Rind, Spicy, Squid, Tacos, Toronto.